The History of the Jesuit academy in Vilnius is often divided into three periods: the era of its growth and flourishing, from its founding up to the occupation of Vilnius by Russian troops in 1655; the period of survival, through wars, plagues, and other misfortunes, which lasted to 1741; the period of reorientation which covers its last three decades up to 1773.1 In 1773, the Jesuit order was suppressed and as a result, the Vilnius Academy was closed in November of that year. In 1781, it was reopened and given the name of the Principal School of Lithuania under the control of a secular educational commission. This essay will be devoted to the first period of the history of the academy. It should be made clear that at that time, the terms academy and university were often used interchangeably; for example, many old sources mention the Academia Cracoviensis and understand by this what we know as the University of Cracow. Furthermore, it is clear that contemporaries regarded the Vilnius Academy as a genuine university. For example, in the records of the University of Greifswald, when Greifswald granted the degree of doctor of philosophy to Bruno Hanefeldt from Riga, in 1641, it is noted that the candidate had been „civis academiarum Regiomontanae, Vilnensis, Rostochiensis, Gryphiswaldensis," that is, had matriculated at the universities of Koenigsberg, Vilnius, Rostock, and Greifswald.2 It may also be recalled that the Vilnius Academy was referred to as a university in its founding documents, and from its very beginning in 1579 satisfied all the requirements of a university. The privilege granted by king Stephen Bathory on April 1, 1579, establishing the Vilnius Academy. Taken from Vilniaus Universitetas (The Vilnius University), Vilnius, 1966, p. 12. He who is educated will see everything that can be found on the surface of or in heaven, earth, and water, even if that be far away and unseen, as if that were lying under his feet, without any danger of error, somewhat like God who can neither err nor be deceived; and he will know the essence of each thing so that the very strength of judgement will manifest that he has traces of the divine within himself. In the beginning, as we know, five lower grades were opened, but already after two years, the teaching of philosophy was begun, while in 1578, theology was added, so that when the title of a university was conferred in the following year, this did not involve the addition of any new subjects of study, but only legally recognized these areas of advanced study and transformed them into faculties with the power to confer academic degrees. From the period after the academy was established, an Index lectionum et exercitationum, that is, a list of lectures and exercises, for the year 1583, survives and this lists in detail the subjects covered that year in each course.8 In the faculty of theology, the following was taught: controversial theology; of dogmatic theology, about the nature of God and the mystery of the Holy Trinity, in other words, the treatise De Deo Uno et Trino; of moral theology, concerning justice and law, following the second book of the second part of the Summa Theologica of St. Thomas Aquinas; of canon law, questions affecting matters of conscience; of exegesis, explanations of the gospel of St. Luke. Four hours per week were usually devoted to each subject. In the faculty of philosophy, that year, the logic of Aristotle was taught, upon completion of which, the student passed on to the books on physics. Besides, there were lessons in Hebrew twice a week, in the course of which the Book of Genesis was read and Hebrew grammar studied. In the lower division, there were no longer five, but six classes: besides the classes in rhetoric and poetry, three grammar classes, and infima (a beginners' class); each of these had a detailed program of lessons. It is noteworthy that a great deal of time was devoted to reviewing and improving one's knowledge of subjects already covered. The whole of Saturday was devoted to disputations; once every month, formal disputations were held, in which all the professors and students of that faculty took part. There is no doubt that the Lithuanian language was fostered in the seminaries of Vilnius and in the bursae (residence halls for poor students) connected with the academy. It is likely that the language was used in the academy itself, in the lower division when according to the program the catechism was read and expounded in the lingua vulgari. But, it seems, there were no special lectures on the Lithuanian language for students in the faculties of philosophy and theology. There is also no evidence that at any time in the history of the academy lectures on the Polish language and literature were offered. In general, from the very beginning of the academy, the level of education in it was not lower than that of the universities of Prague, Vienna, Rome, or other universities. The first professors to teach in Vilnius had received their training from these universities and had brought with them intensive teaching techniques and high standards. The University of Cracow, in the second half of the sixteenth century, was in decay and when the Jesuits established themselves in Vilnius, it underwent a very severe crisis. So much so that in 1576, the Polish bishops in their provincial synod decided to impose a special contribution upon all their dioceses for the support of the University of Cracow. The original of the letter bishop Protasevičius wrote to the pope on that occasion has survived.13 In it, the bishop asks that the pope absolve him from the imposed contribution on the grounds that there is in Lithuania an educational institution at least as good and that it falls upon him to support it in the first place.14 The almost complete stopage of the flow of students from Lithuania to Cracow indicates that it was possible to receive in Vilnius an education no worse than that in Cracow. Even the University of Prague, in order to enhance its reputation, called the noted theologian, Emmanuel Vega, from Vilnius. However, it should be noted, that neither in this period nor later, did the Vilnius Academy have professors of major importance and with an international standing, such as Suarez, Bellarmine, Kircher in Rome, although there was no shortage of professors who were known abroad. Perhaps, this was in part due to the geographical location—Vilnius was simply too far away from the major cultural centers of the time — but also, to the conditions in which the work was carried on. In the first decades, many of the best minds had to be devoted to controversies with opponents of different faiths. Most of the time, what was written in theology was intended to reply to accusations made by members of different faiths or to expound more clearly doctrines which they had modified or denied completely. Such are the theological writings of Peter Skarga, of the already mentioned Emmanuel Vega, Marcin Smiglecki, Justin Rabe, and others. Usually, these writings were original and discussed the questions raised in a serious way, however, as is to be expected, they treat the subject from one point of view only, that from which the attack came. The theological controversies died down in the first half of the seventeenth century. Among the professors of theology, several taught the various branches of theology successfully and for a long time, for example, the Spaniard Jaime Ortiz,17 who for a long time served as chancellor of the academy. Ortiz left certain things in manuscript, but never published anything more noteworthy, anything which could contribute something new to theology. During this period, the liberal arts such as rhetoric, versification, and language study became more prominent. In this context, we should mention Sarbiewski, who had adopted Lithuania as his own although by birth a Masurian. He was usually recognized as one of the leading writers of poetry in Latin at the time.18 He was also noted as a theoretician of poetry. His work, De perfecta poesi, published only in our own time,19 was used in manuscript by many professors in the Vilnius Academy and elsewhere. Because of this, he encouraged everyone to strive for higher education, to attend philosophy lectures. For use in this book, he composed sample discourses illustrating scientific, expository discourses, exhortations, and speeches in courts of law. All of this is expressed in an elegant Latin style. Many of the comments and suggestions made by Liauksminas would be useful even today. In the first decades of the seventeenth century, there developed in the Vilnius Academy a more lively scholarly interest in the vernacular languages. The appearance of new dictionaries and grammars testifies to this. It was not simply an accident that a former student of the academy, Melety Smotritsky, in 1619 in Vievys published the first grammar of the Russian language. His work was later translated into Bulgarian and Serbian and twice reprinted in Moscow in 1648 and 1721.22 Shortly after the appearance of Smotritsky's grammar, Grzegorz Knapski, who in the late sixteenth century studied in the Vilnius Academy and as a student wrote plays and some poetry in Latin, published his Thesaurus Polono-Latino-Graecus (Cracow, 1621), which exerted an important influence upon the compiling of the dictionaries of Sirvydas and Elger.23 Somewhat later, Benedict de Soxo, who for many years served as chancellor and professor of the academy and for a while as its rector, published the Praecepta grammaticae linguae poloniciae (Vilnius, 1636). Thus, not a Pole, but a Spaniard was the first theoretician of the Polish language. In this environment, the investigation of Lithuanian did not lag behind. The major contributions were made by the Lithuanian Jesuits, Konstantinas Sirvydas and Jonas Jaknavičius. Several important theoretical studies were published at the time, the Dictionarium trium linguarum in usum studiosae iuventutis and the Clavis linguae lithuanicae, while the Universitas linguarum Lithuaniae also goes back to this period, although it is known only from editions published in the following century. There were other works written in Lithuanian and serving a more practical purpose, such as Punktay sakimu (Sermon Outlines) by Sirvydas and Giesmės (Hymns) by Slavočinskis. All of these still remain important and not yet exhausted sources for the study of Lithuanian. We often read in present day accounts of the Vilnius Academy that in it nothing was taught except Latin and Greek, and some dull theorems of Aristotelian philosophy and Thomistic theology. This conception, however, is not supported by an examination of the textbooks used and the summaries of lectures prepared by students. The more practical subjects, it is true, were usually taken up not in the lower grades, as this is done nowadays, but in the course of the philosophy program. The exposition of abstract concepts did not occupy the whole time of the three year course; a great deal of time was devoted to illustrating these concepts by examples taken from other, less abstract, fields. For example, in the treatise on the soul, one can find descriptions of the eye and ear, and information about sound, music, dreams, etc. In philosophical physics, just about everything was discussed: astronomy, meteorology, fish, birds, animals, the anatomical structure and peculiarities of human beings, and even recipes for preparing foods were given. Or again, what was called moral philosophy or ethics, included economics, politics, and even agriculture. These subjects were covered not as separate disciplines but as illustrations of philosophical truths. Of course, much depended on the lecturer. One would emphasize one thing, and another something else, however, at least the most elementary information was conveyed to all. The question as to why the Vilnius Academy lacked a faculty of medicine has received some discussion. It has been claimed that the Jesuits themselves opposed the establishing of a faculty of medicine. The privilege granted by king Stephen Bathory expressly excluded the teaching of both medicine and civil law at Vilnius. "31 However, in the privilege of pope Gregory XIII such an exclusion is not found, although it expressly mentions only the liberal arts, theology, and philosophy.32 But, roughly during the first fifty years of the academy, the Jesuits tended to follow the papal rather than the royal privilege — this is clear from the fact that during these fifty years a Jesuit served as chancellor, as was required by the papal bull, rather than the bishop of Vilnius, as was required by the royal privilege—and the Jesuits were more involved in the preparation of the papal than the royal document. This suggests that the exclusion of medicine and civil law in the royal privilege did not originate in attitudes held by the Jesuits. One might suggest, simply as a guess, that the exclusion resulted from the fear that the university in Vilnius would become a more important center than the university in Cracow. It is recorded that the rector of the Jesuit college in Kražiai, in 1618 remarked that it had been decided to expand the Vilnius Academy and begin there the teaching both of law and of medicine.33 Why this plan was not carried out at that time, at present, I cannot say. As we know, in 1641, the king did grant the right to establish faculties of law and medicine, and a faculty of law did in fact function for a few years. The Russian invasion and the complete destruction of the academy broke off the further development of these two faculties. * A portion, reprinted with the permission of the author, of "Mokslinė Pažanga Vilniaus Akademijoje" ("Educational Progress in the Vilnius Academy"), Lietuvių Katalikų Mokslo Akademijos Suvažiavimo Darbai (Proceedings of the Lithuanian Catholic Academy of Science), Rome, vol. VII, 1970. The editor hopes to publish the second portion of this essay, depicting the later history of the academy, in a subsequent issue. Paulius Rabikauskas is the Dean and teaches in the Church History Department of the Gregorian University in Rome. He is one of a group of Lithuanian historians working in the Vatican Archives and other archives and libraries in Rome to uncover source materials for Lithuanian history. This group, with the support of the Lithuanian Catholic Academy of Science, plans to publish several series of documents on Lithuanian history under the general title of Fontes Historiae Lituaniae. The first volume, edited by Rabikauskas, is scheduled to appear in the near future. It will contain the reports of the bishops of the dioceses of Žemaitija and Vilnius to the pope, the earliest of which goes back to 1605. Names of persons, wherever possible, are spelled as given in the British Museum General Catalogue of Printed Books. In the case of Lithuanian names, the Lithuanian spellings were retained. 1 S. Bednarski, "Dwieście lat Wilenskiej Akademji Jezuickiej, 1570-1773. Próba syntezy," in Pamiętnik VI powszechnego zjazdu historyków polskich w Wilnie, 17-20 września 1935, Lvov, 1935, vol. I, pp. 289-294. 2 E. Friedlander editor, Universität Greifswald, part I, 1456-1645; vol. II of Aeltere Universitäts-Matrikeln, Leipzig, 1893, p. 593. 3 P. Sunier, the Jesuit provincial in Poland and Lithuania, on September 7, 1580, from Braunsberg, wrote to the father general in Rome that the privilege had not yet been received in Vilnius; Archivum Romanum Societatis Iesu (her-after referred to as ARSI), Germ. 158 fol. 268r. But three days later, writing from Braunsberg to Rome, Sunier could announce that the privilege had been received; loc. cit., fol. 278v. 4 S. Załeski, Jezuici w Polsce, Lvov, 1900, vol. I, p. 253. 5 ARSI Lith. 38 fol. 014r. 6 Loc. cit, fol. 014r-v.
7 Loc. cit., fol. 014v-016r. 8 ARSI Germ. 161 fol. 313v-313r (sic!). 9 ARSI Lith. 38 fol. 015r. 10 ARSI Germ. 161 fol. 313r. 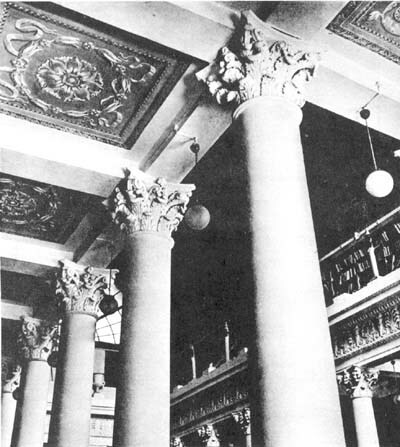 11 M. Biržiška, Senasis Vilniaus Universitetas (The Old University of Vilnius), London, 1955, p. 13. The teaching of Lithuanian — but no longer a special chair — is mentioned in Vilniaus universitetas (The University of Vilnius), Vilnius, 1966, pp. 35-36. 12 J. Lebedys, "Y a-t-il eu à l'Université de Vilnius une chaire de lituanien aux XVIIe et XVIIe siècles," Acta Baltico-Slavica, 1966, vol. 3, pp. 99-106. 13 Vatican Archives, Segr. di Stato, Vescovi, vol. X, fol. 293r-v.
14 A. Theiner, Annales ecclesiastici, Rome, 1856, vol. II, pp. 314-315. 15 J. Jurginis, Renesansas ir humanizmas Lietuvoje (The Renaissance and Humanism in Lithuania), Vilnius, 1965, p. 245. 16 See P. Rabikauskas, "Smiglecki Marcin," Lietuvių enciklopedija (The Lithuanian Encyclopedia), Boston, 1963, vol. XXVIII, pp. 180-181.; Vilniaus universitetas, Vilnius, 1966, p. 33 and p. 45. 17 Already in 1609, Jaime Ortiz was chancellor of the academy; in the summer of 1610, after a major fire, he moved with the students to the college in Pultusk; in 1613 he returned to Vilnius where he served as chancellor until the summer of 1625. At that time, in poor health, he moved to the college at Nesvizh where he died on October 11, 1625. See, A. Liuima, "Ortiz Jaime," Lietuvių enciklopedija, Boston, 1960, vo. XXI, p. 212. 18 P. Rabikauskas, "Sarbievijus Motiejus Kazimieras," Lietuvių enciklopedija, Boston, 1961, vol. XXVI, pp. 491-493; Vilniaus universitetas, Vilnius, 1966, pp. 39-40. 19 Maciej Kazimierz Sarbiewski, O poezji doskonalej czyli Wergiliusz i Homer (De perfecta poesi, sive Vergilius et Homerus), edited by S. Skimina. Breslau, 1954; also by Sarbiewski, Wykladi poetyki (Praecepta poeticae), edited by S. Skimina, Breslau-Cracow, 1958. 20 The following edition was used: P. Sigismundus Lauxmin e Soc. Iesu, Praxis oratoria sive praecepta artis rhetoricae, quae ad componendam orationem scitu necessaria sunt, Cologne, 1705. 22 Vilniaus universitetas, Vilnius, 1966, pp. 34-35. 23 J. Puzynina, 'Thesaurus' Grzegorza Knapiusza, siedemnastowieczny warszłat pracy nad językiem polskim, Breslau-Cracow-Warsaw, 1961. 24 Dispositio supcriorum studiorum Academiae Vilnensis Societatis lesu, hyeme et aestate, mane et a prandiis, undated, but from the middle or second half of the seventeenth century; ARSI Lith. 36 fol. 197r. 25 M. Biržiška, Senasis Vilniaus Universitetas, London, 1955, p. 8; Allgemeine deutsche Biographie, Leipzig, 1883, Vol. XVII, p. 233; S. Rostowski, Lituanicarum Societatis Iesu historiarum libri decent, Paris-Brussels, 1877, p. 377. The last mentioned work emphasizes Kruger's talents in military engineering. 26 Piotrą Skarge, Societatis Iesu, Rocznedźieie kośćielne ad Národzenia Páná y Bogá nászego Iesusa Christusa wybráne z rocznych dzieiow Kośćielnych Cesara Baroniusza kárdynala S. R. K. názwánych Annales Ecclesiastici, Cracow, 1603. 27 R. Picchio, "Gli 'Annali' Baronio-Skarga e la 'Storia' di Paisij Hildendarski," Ricerche Slavistiche, 1954, vol. III, pp. 212-233. 28 Vilniaus universitetas, Vilnius, 1966, p. 38. 29 J. Bieliński, Uniwersytet Wilenski, Cracow, 1899-1900, vol. I, p. 129; S. Biziulevičius, "Iš farmacijos raidos Lietuvoje" ("Notes on the Development of Pharmacy in Lithuania"), Iš mokslų istorijos Lietuvoje (Notes on the History of the Sciences in Lithuania), 1960, vol. I, pp. 139-152. 30 Historia Collegii Vilnensis a. 1681, ARSI Lith. 42 I fol. 206-207. 31 This exclusion is made in the royal privilege granted in Lvov on July 7, 1578. A certified copy of this privilege can be found in the Jesuit Archives, ARSI Lith. 36 fol. 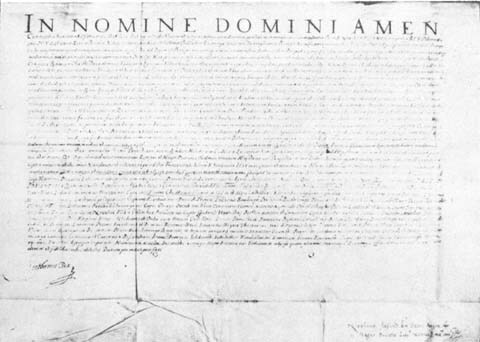 274 v. It is repeated in the privilege granted in Vilnius on April 1, 1579. A photocopy of this privilege can be found in Vilniaus universitetas, Vilnius, 1966, p. 12. 32 Bullarum, diplomatum et privilegiorum sanctorum Romanorum Pontificum Taurinensis editio, Turin, 1863, vol. VIII, pp. 561-562. 33 ARSI Lith. 38 I fol. 241 ar.